Do you have a furry family member? When it comes to furry family members, you also have to think about how your new home will accommodate their needs. 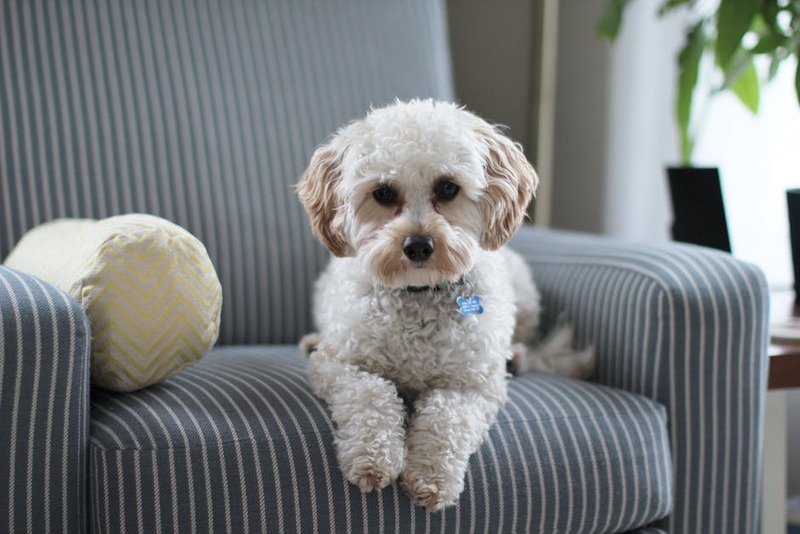 From making sure your home is fenced-in to the type of flooring in your home, here are four tips for finding a pet-friendly home for your furry family members. Know your local pet laws. Depending on your neighborhood, breed, number of pets and other factors, you need to abide by your local pet laws to find the perfect pet-friendly home. Seek out breed-specific laws as well as any restrictions for your neighborhood (e.g. those with an HOA or in a condominium community) before falling in love with a home to ensure your pets will be welcome. Make sure your pet has a place to roam. Having a fenced-in backyard with your new home is of course ideal when you have a furry family member, specifically large dogs. However, this is not always the case. You might have to build a fence or even have your dog trained with an electric fence. Then if you live in a second floor condo, you might seek out pet-friendly areas, such as local dog parks, trails and other areas, that you can take your pet to freely roam and get some exercise. Another crucial aspect to think about when on the hunt for a pet-friendly home is to consider your flooring. If you have carpet, you’ll likely want to replace this since it traps odors and stains, plus carpet is not what buyers are looking for when you’re ready to resale. The best flooring for pets is hardwood that’s either very light or dark in color so that scratches do not show easily. Of course concrete, tile and vinyl are other great options that will be just as forgiving. The right floorplan is a factor that buyers often overlook during the home search when it comes to looking for a home to accomodate their furry family members. For instance, if you have an elderly pet, you might steer clear from homes that are multi-level since steps can be tough on their joints. Or perhaps you don’t have a floorplan that is very open. In this case, if you have a larger dog, this could be more so a nuisance as you’ll likely be tripping over your dog more.